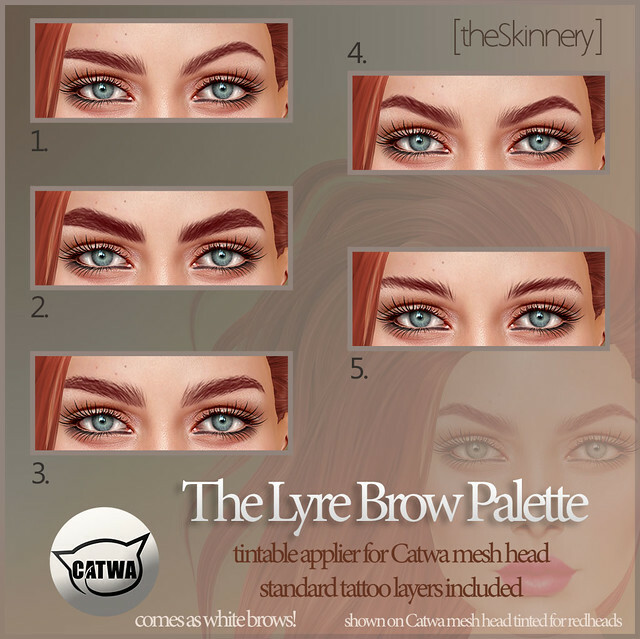 [theSkinnery]: The Skinnery Lyre Brow Palette @ Chapter Four! Hello Girls! The Chapter Four opened on the 4th of this month, and there you will find these amazing brows! The Lyre Brows are tintable, so you can make them any color you wish! 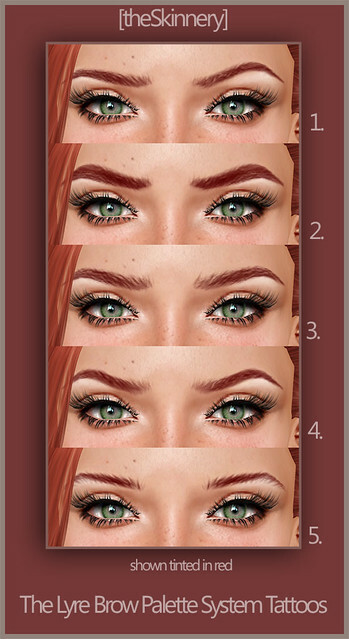 As if the Catwa appliers for these brows weren't enough, Uma has also included tintable system versions of these brows for those of you without mesh heads! I personally love the version with one arched brow! We hope you all enjoy these amazing brows!